Rat treatments usually involves two visits and requires that the rats feed several times from the rodenticide to eliminate the problem. Baits are laid, and where rats are forraging for food or in known harbourages. As rats are suspicious of new objects including food, it can take up to 7 days before the rats start feeding. 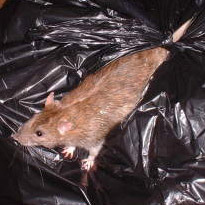 From commencement of feeding of the rodenticide, control of rats may take up to 2 or 3 weeks. It is important to eliminate as many as possible in this time as they breed at such an alarming rate. A healthy female rat will live for 2 years and produce up to 60 young a year.